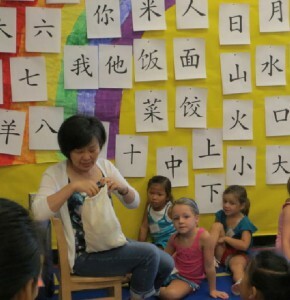 The dedicated instructors and administrators of the Ding Hao Main Line Chinese School are uniquely qualified to teach your child. 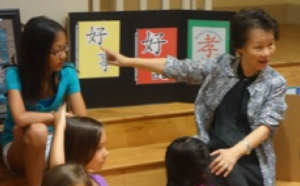 The entire curriculum is geared for children whose parents are not fluent in Chinese, and the staff is highly sensitive to all the needs that arise in learning a culture and language with the complexity of Chinese. In addition, the Ding Hao classes provide the children with an opportunity to meet and learn with children from families like theirs in a fun and nurturing environment. 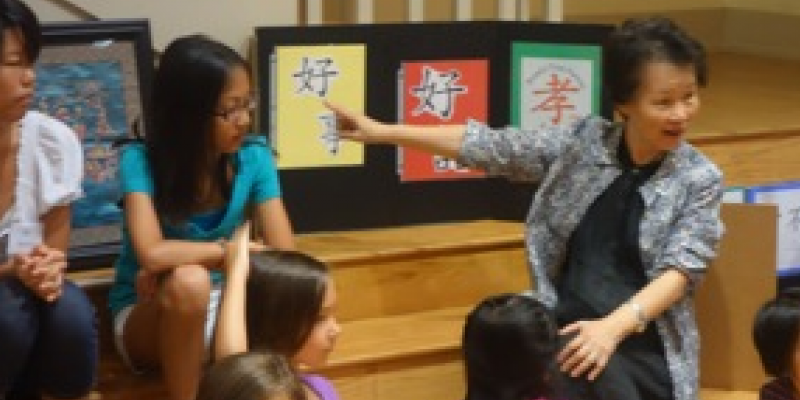 The Ding Hao classes offer children an opportunity to learn introductory Chinese language and culture in an engaging and interactive environment. Mandarin is taught using the Pin-Yin system of romanization. Culture is emphasized through arts and crafts, games, music, festival celebrations, calligraphy, history and geography. Multiple levels of classes are offered. American teaching methods and small class size (averaging 6-10 children) facilitate student participation and creativity. Our goal is to make the experience fun for your child, not to teach through rote memorization and repetition. Regarding character recognition, for instance, the method is to show the origins of the characters and how they evolved from pictographs to characters. Ultimately, Chinese language skill is taught through the following sensory progression: 1) listening; 2) speaking; 3) reading; 4) writing the character. Our curriculum is a “spiral curriculum,” in which your child continually builds upon what he or she has already learned. The teacher will revisit the curriculum in the form of review by teaching the same content in different ways each subsequent year. During the spring 2002 semester, Ding Hao established a Standards & Assessment process to evaluate progress.